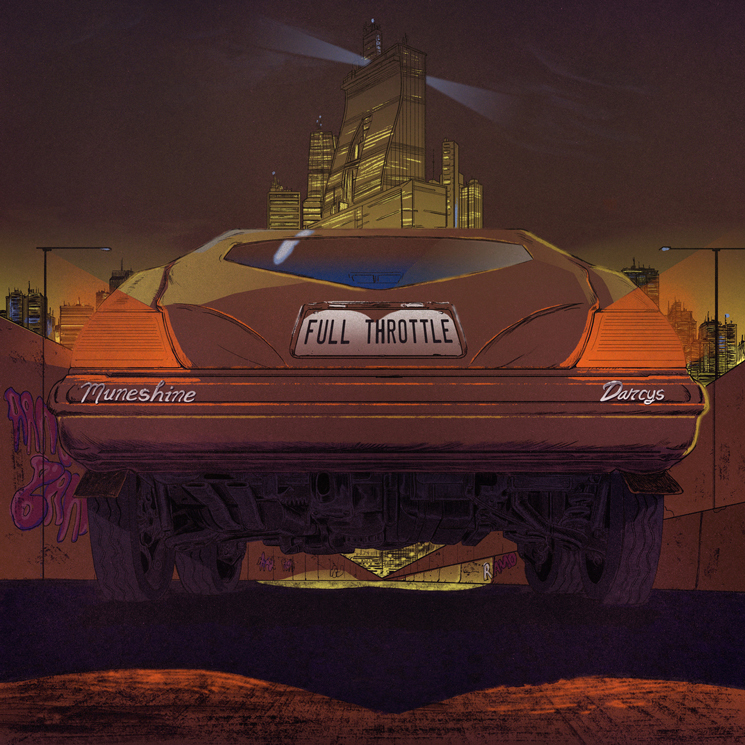 No stranger to collaboration, Juno-nominated producer Muneshine is shifting into a new gear in teaming up with the Darcys for new single "Full Throttle." A press release notes that the track concerns "escaping what weighs you down — work stress, school stress, relationship stress — a topic that resonates universally." Wes and Jason are great to work with. They're obviously great songwriters and musicians, but beyond that we just get along as humans. We share a similar dark and sarcastic sense of humour as well, which makes our sessions an evil pleasure. I love having an idea on my own and finding my own way to express it, but when you bring other people that you trust creatively into the fold and put your heads together you're forced to explore possibilities that live beyond your own imagination. That's a beautiful thing. The Darcys returned to deliver their Centerfold LP last year. Take in "Full Throttle" in the player below.